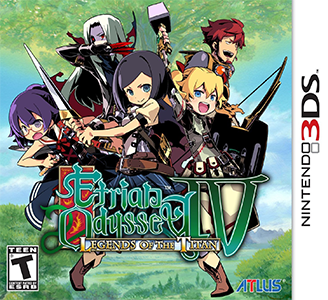 Etrian Odyssey IV: Legends of the Titan is a dungeon crawler role playing video game developed and published by Atlus for the Nintendo 3DS. It is the sequel to Etrian Odyssey III: The Drowned City and the first in the Etrian Odyssey series to be released on the 3DS. Etrian Odyssey IV: Legends of the Titan has some problems in Citra. Graphically, the game suffers from minor issues, but requires fairly powerful hardware to obtain near full speed. It suffers from minor audio issues at times, but this does not hinder gameplay in any way.